About Author: Azubike A. Ahubelem has an MSc in Information & Communication Technology. He gets inspired by things around him and tries to relate it to things he writes. He writes pure fiction but has been privileged to have his opinion expressed in Punch Newspaper where his article, “Taming the Monster of Crime,” was published. 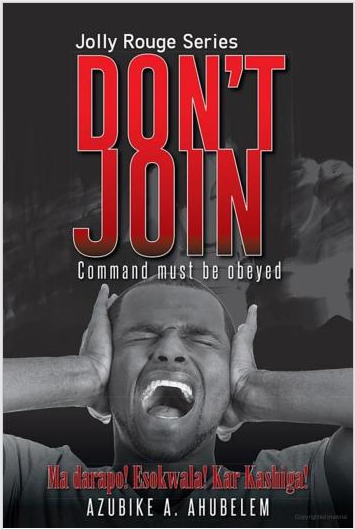 “Don’t Join” is available on Jumia.Com in Hard Copies.